Take in a show at CounterPulse for inspiration then get your groove on with five classes at ODC Dance Commons. CounterPulse represents a 25 year legacy of experimental and interdisciplinary dance and performance in San Francisco – no other single space has supported a comparable breadth of performance. 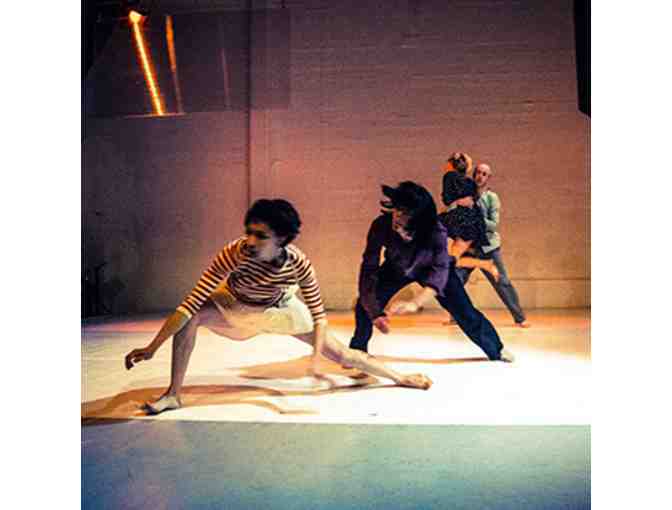 Known as 848 Performance Space 1991-2005, the organization premiered many of San Francisco’s most daring dancers and choreographers and was a pioneering venue for experimentation. In 2005, the organization moved into a 95-seat theater in the SoMa neighborhood and re-branded as CounterPulse, as a result of a merger with Bay Area Center for Art and Technology. ODC is dedicated to the lifecycle of the artistic process. Through their company, school and theater, they aim to inspire audiences, cultivate artists, engage community, and foster diversity and inclusion through dance. In addition to developing engaged and committed audiences, the organization advocates for the performing arts as an essential component to the economic and cultural development of our community. CounterPulse – Expires December 2017. ODC Dance Commons – Expires 3 months from date of first use. All 5 classes must be used by the same person.